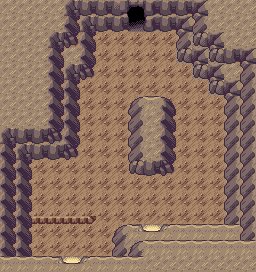 Seafloor Cavern is a subterranean cave deep beneath the waves of Route 128. 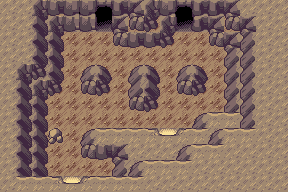 The cavern is somewhat maze-like, and constantly requires the use of Rock Smash and Strength. 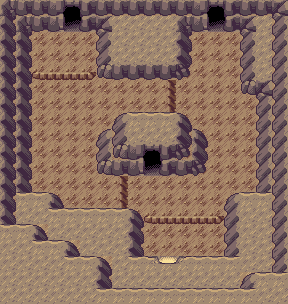 In a misty cave, you'll discover TM26 (Earthquake). For more details on getting through the Seafloor Cavern check below. 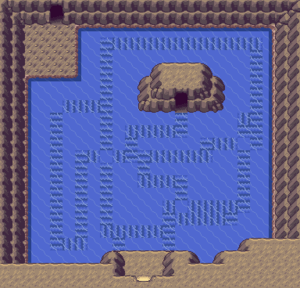 The cave in Route 128 with the submarine. 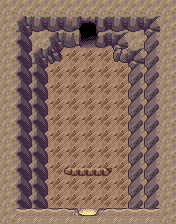 The entrance to Seafloor Cavern. 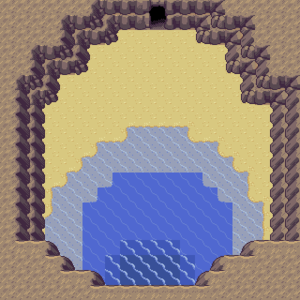 A cramped underwater area where you'll find the lost submarine that Team Aqua/Magma stole. Without much else to do use dive to surface. Well, you made it, the Seafloor Cavern. Now all that's left it to go inside. Use rock smash on the left rock, then push the boulder down. 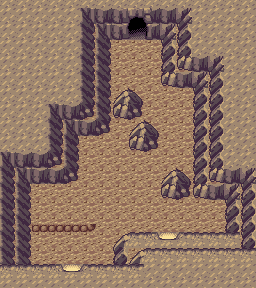 You may then push the other boulder to the right. 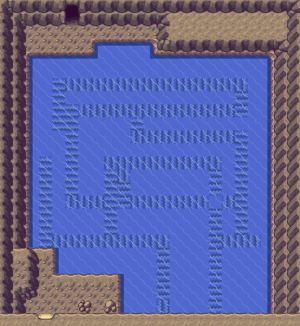 The Entrance Room has two Team Aqua/Magma Grunts and three doorways leading to the Entrance, Room 2, and Room 4 (southeast corner). Accessed from the entrance's southeast exit. The south east corner leads to room 6. Pictured above, it is accessed by the northwest exit from the entrance. 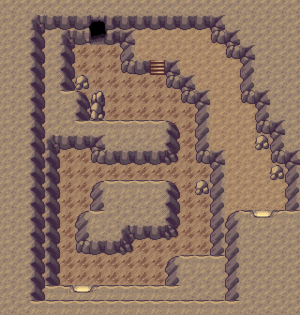 The southwest exit leads to a junction where you may either exit the cave, or head to room 5. Both the middle and northwest lead to room 2. The northeast exit leads to Room 4 (southwest corner). 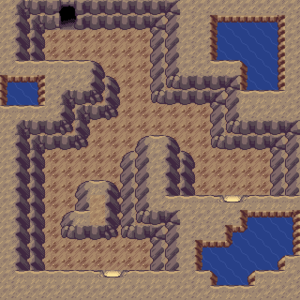 The room is meant to be crossed diagonally. The northwest exit leads to room 5, and the northeast exit leads to room 6. First, push the left and right boulders up. The middle boulder is pushed to the side. Push the next middle boulder up, the adjacent boulders to the side. 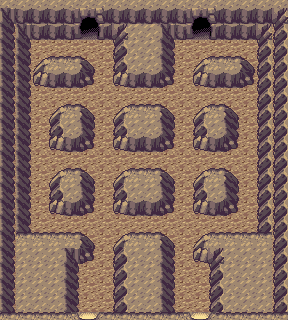 In the last row, push the left and right boulders up, and the middle to the side. TM26 is found at the entrance. 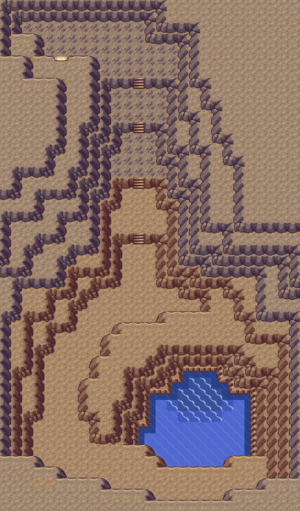 When you reach the southern part of the map, you will see the legendary Pokémon waiting. Then, you will be attacked by the leader of the antagonist team. After the battle, the orb will be used on the legendary to awaken and control it. However, the legendary will simply escape. 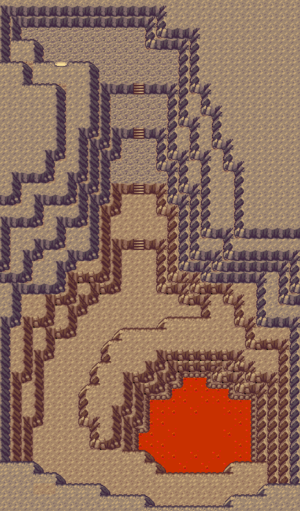 If you are playing Pokémon Ruby, the sunlight will become strong over Route 128, through Lilycove City. This page was last edited on 25 November 2018, at 22:32. This page has been accessed 108,746 times.